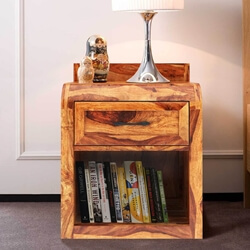 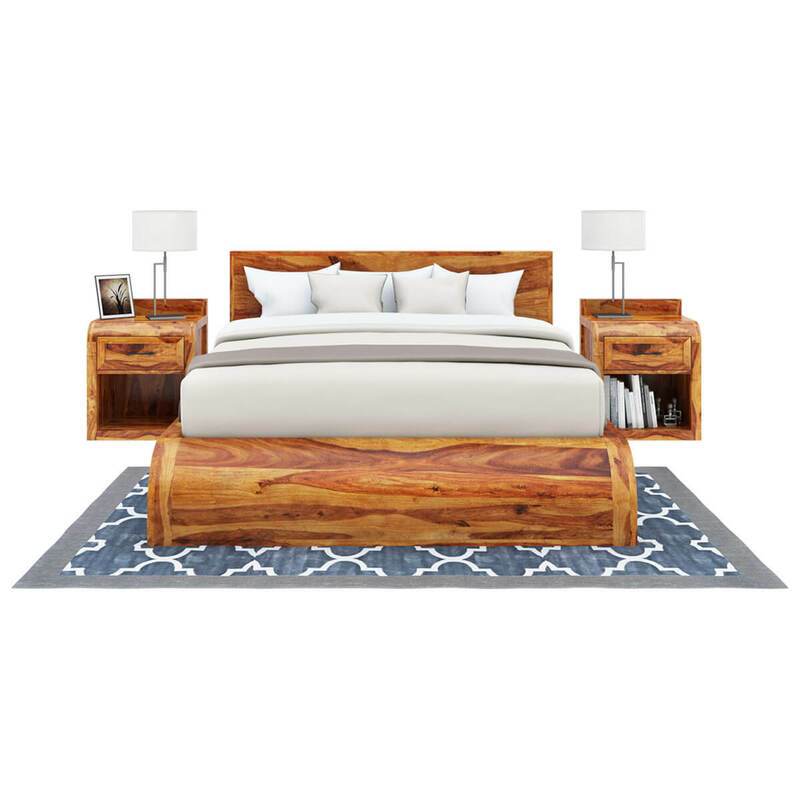 Bring in the beauty and charm of solid wood highlighting the grains in the most creative design of the Rebecca Solid Wood Bedroom Set. 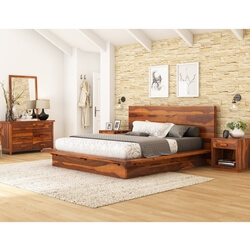 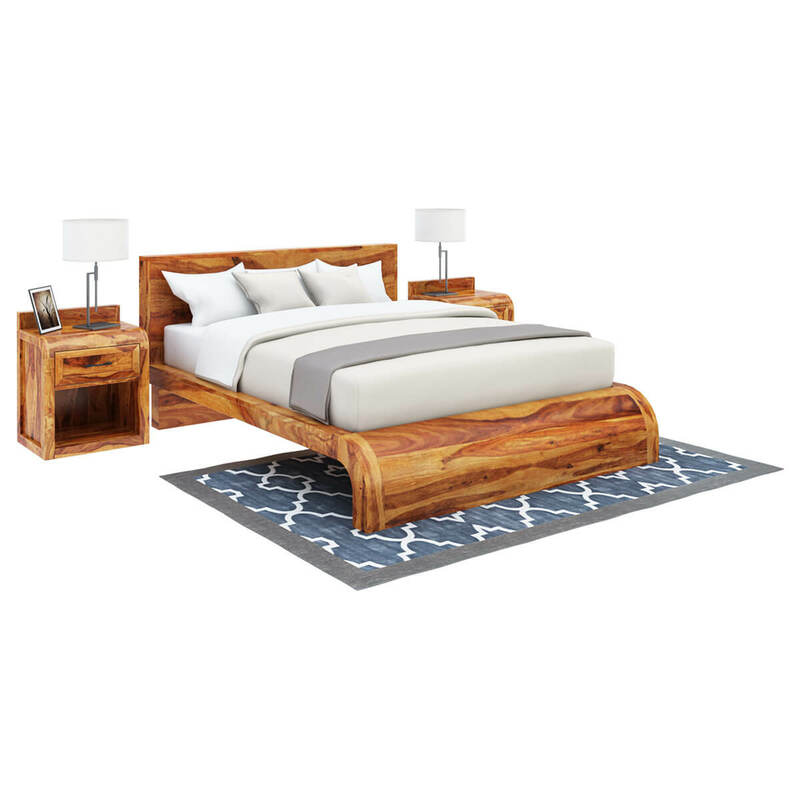 This platform bed has a unique footboard that accents the beauty of the solid wood while giving support to the entire bed. 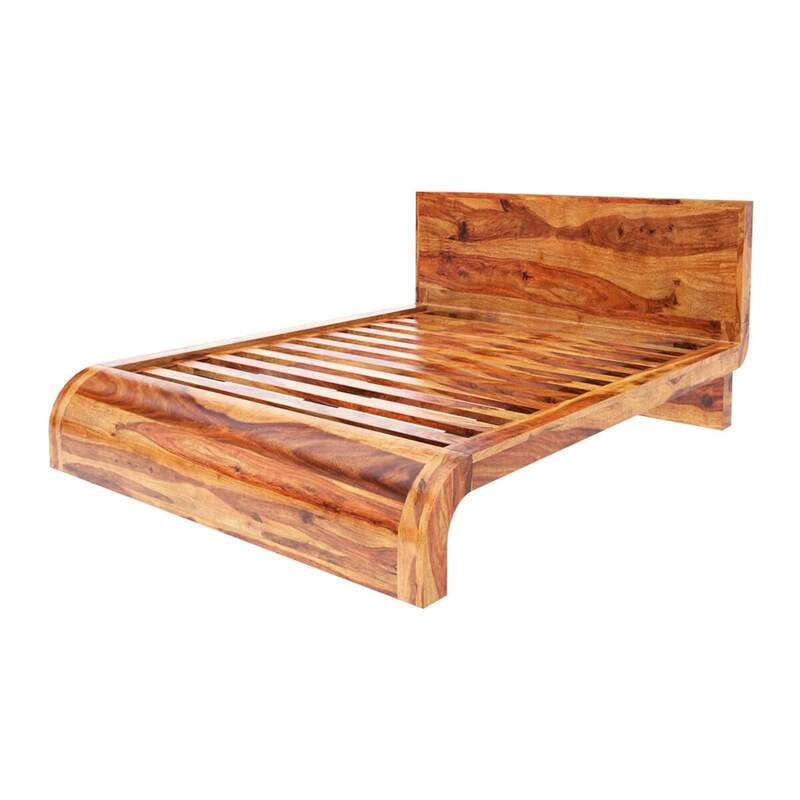 The modest height headboard additionally shows off the beautiful grains. 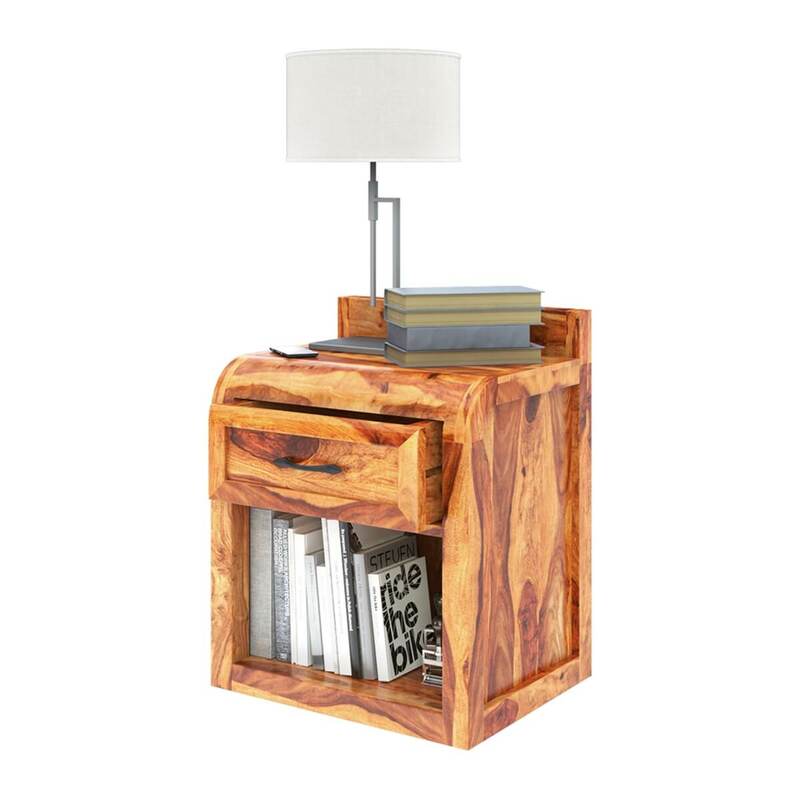 The collection comes with 2 nightstands. 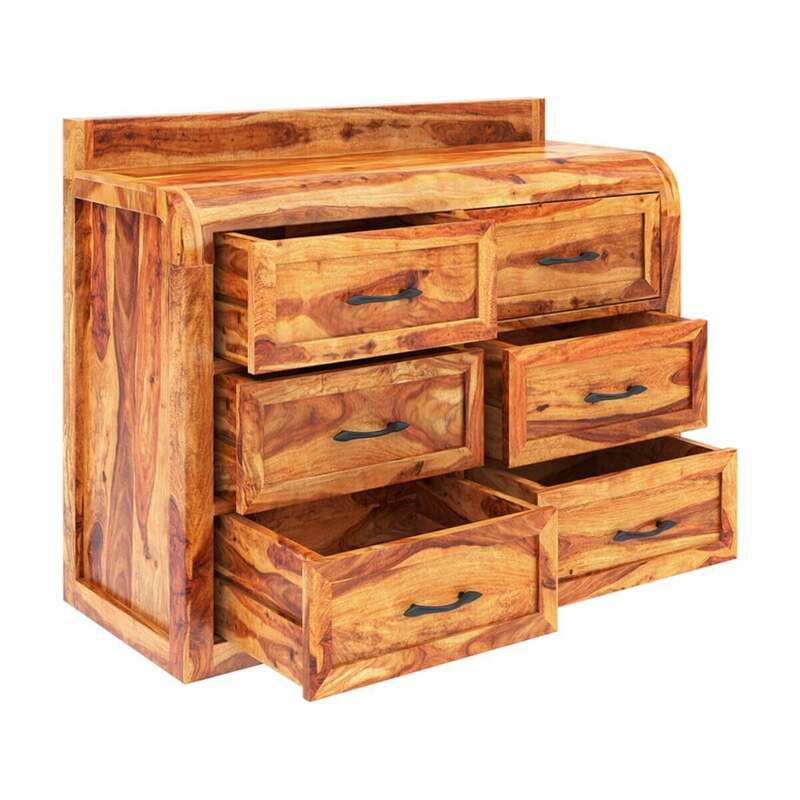 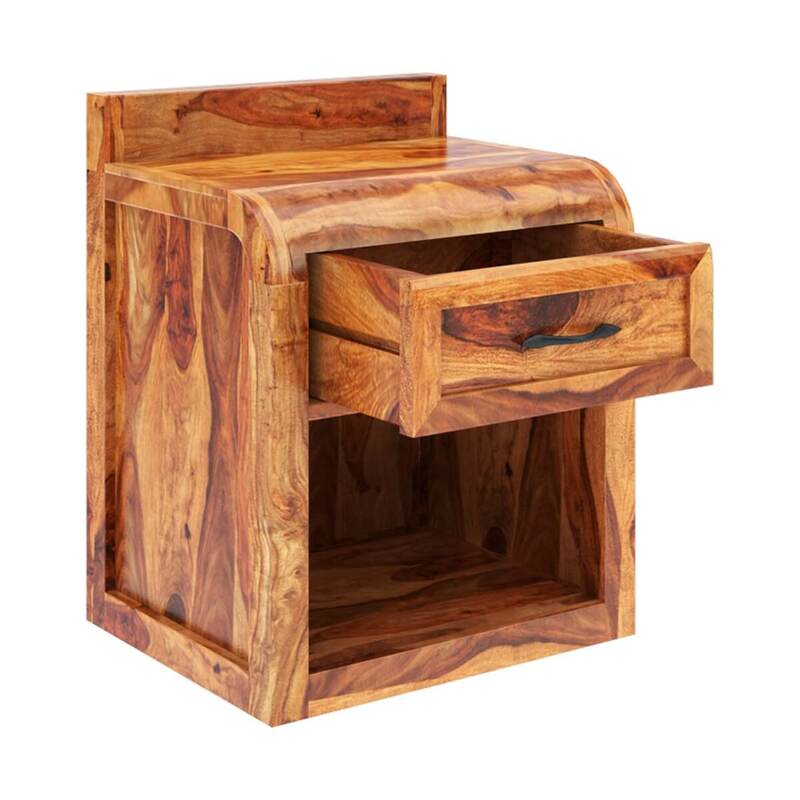 These have a top drawer and an open cubby for books, electronics, and other larger items. 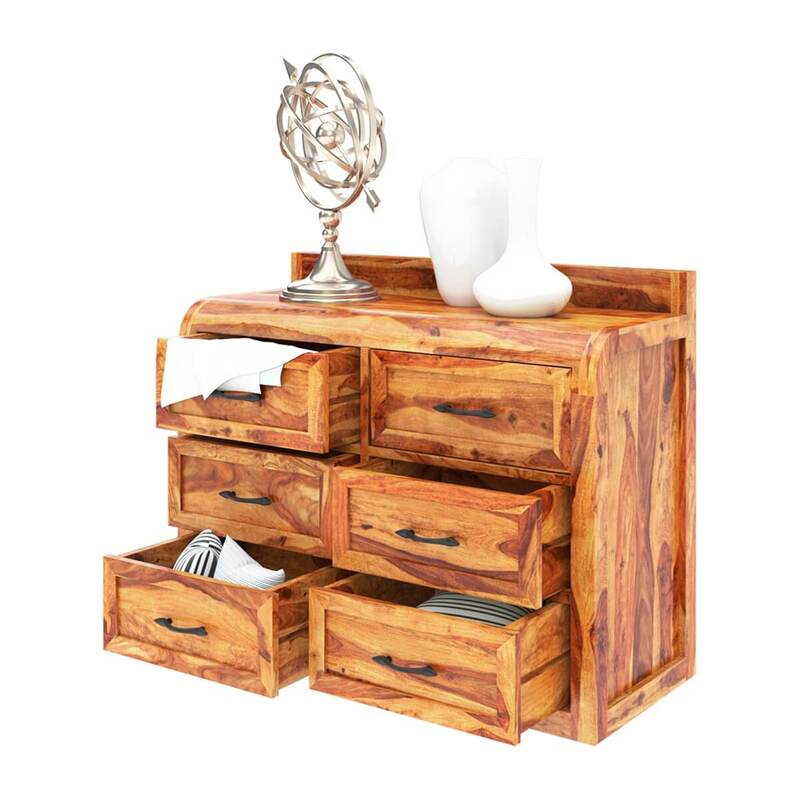 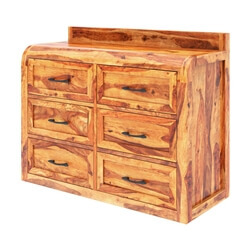 The 6 drawer dresser adds additional storage. 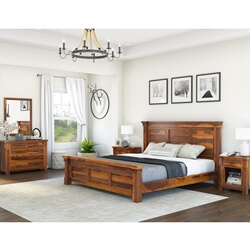 Due to the natural grain variations of the solid wood, the Rebecca Bedroom Set can be coordinated with many different colors and accessory items in the room. 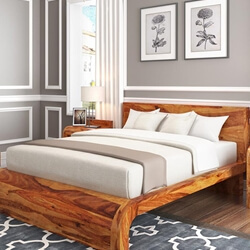 This unique design can highlight the look of your home! 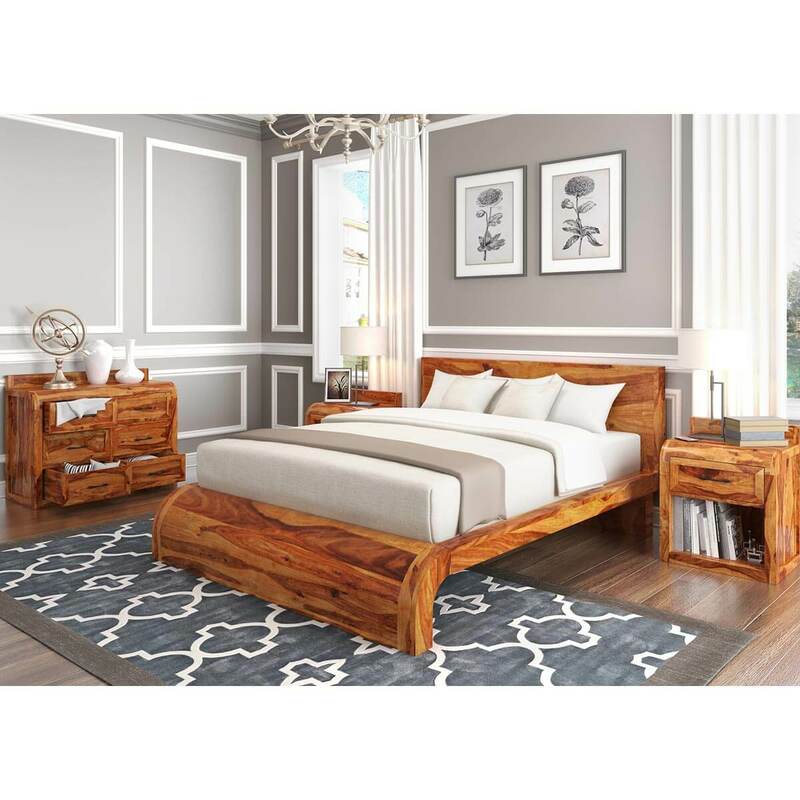 This collection is sold as a set, or as individual pieces.